Yale School of Medicine; M.D. Dermatopathology Northwest was initiated in 2000 by selecting the best in the region, Dan Lantz, MD and Mike Piepkorn, MD. They along with our more recent numbers John Walsh and MD, Kyle Garton form a group that is nationally recognized. I am proud to be a part of the laboratory. Dr. Lantz is a Washington State native from birth. He received his degree in pharmacy and then medicine from the University of Washington. His dermatology residency was completed at the University of Washington, where he was chief resident, and his dermatopathology fellowship was completed at the University of Colorado with Dr. Loren Golitz. 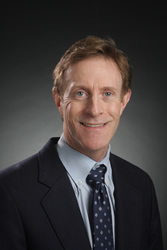 Dr. Lantz is a Clinical Professor in Dermatology at the University of Washington where he remains active in teaching with his weekly dermatopathology conferences for the dermatology residents. When not reading slides, Dr. Lantz enjoys listening to his history audio books, boating, photography and spending time with his daughters, Katie and Emily. Mike grew up in the heartland of America, obtaining his M.D. degree at the University of Minnesota, but headed west to the University of Washington for special training in pathology and dermatology and in basic biomedical research. 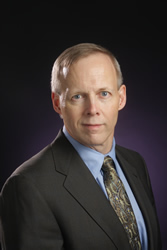 He has board certifications in pathology, dermatology, and dermatopathology. 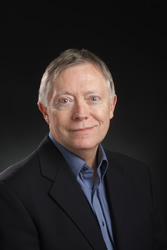 He spent over 20 years in academic positions in dermatology, first at the University of Utah and then at the University of Washington after returning to his adopted home, focusing his research on melanoma and on studies related to psoriasis. Although most of his time is now spent at Dermatopathology Northwest engaged in diagnosis of diseases from skin biopsies, he staffs a pigmented lesion and melanoma clinic at the Roosevelt outpatient facility of the University of Washington. When he is not attempting to redirect the behaviors of his errant children, he likes to spend his time in the wilderness, backpacking and mountaineering and photographing the majesty of nature. A Bellevue native, Dr. John Walsh received his B.S. and M.D. degrees from the University of Washington, after which he left the Northwest to complete his dermatology residency training at the Medical College of Wisconsin and his dermatopathology fellowship at the University of Colorado. He has served on faculty as an Assistant Professor of Dermatology and Head of Dermatopathology at the Mayo Clinic in Jacksonville, Florida. After being away for over thirteen years, Dr. Walsh and his family are excited to have had the opportunity to return to the Northwest. 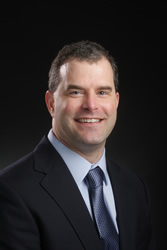 In addition to working at Dermatopathology Northwest, Dr. Walsh also practices dermatology at Bellevue Dermatology Clinic, where he enjoys seeing patients with a variety of dermatologic conditions. When not working, Dr. Walsh enjoys spending time with his wife and three children. 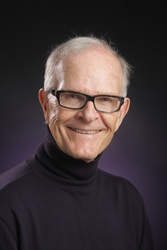 Dr. Garton received his medical education at the University of Washington. He then completed his dermatology residency at the University of Washington where he additionally served as chief resident. He then completed his dermatopathology fellowship at Geisinger Medical Center under the direction of Dr. Dirk Elston and Dr. Tammie Ferringer in 2009 and is board certified in both Dermatology and Dermatopathology. Dr. Garton is additionally a clinical assistant professor at the University of Washington where he is actively involved in caring for patients with complex medical dermatologic problems and in resident education. Outside of work Dr. Garton enjoys spending time with his wife and three children.